Last week flew by in ways I never thought possible. It’s so strange to be on the other side of a painful experience. 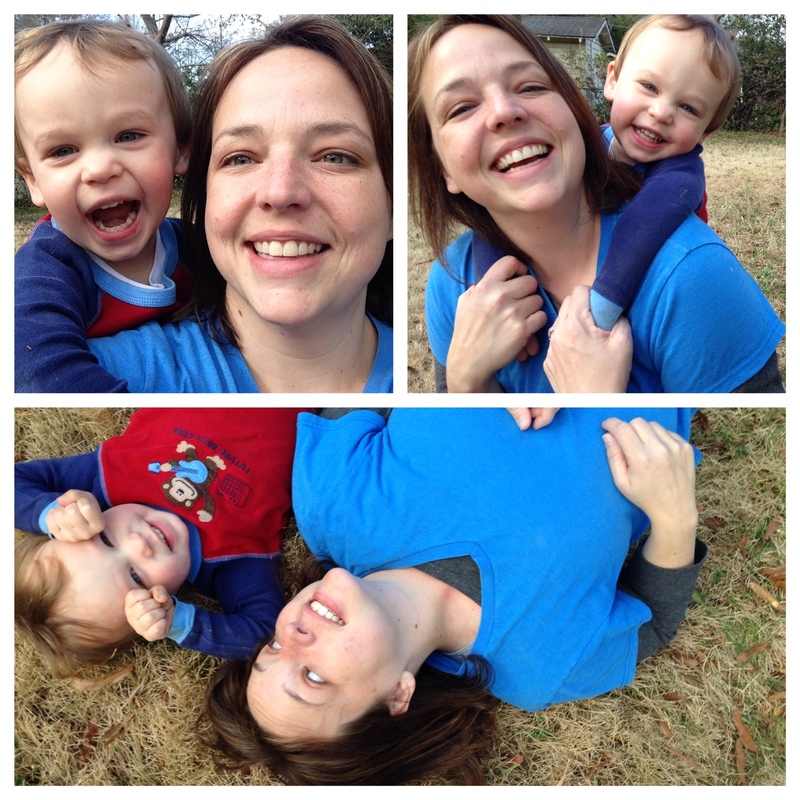 When my Dad was dying, I just didn’t understand how life could keep moving. I’d be driving down the road and look in other people’s cars and wonder, “Is their Dad dying?” “Is their kid sick?” “What is their life like?” But then life just keeps moving and it moves fast, which I guess is almost comforting at times. Comforting even when you feel like that very fact can punch you right in the stomach the minute a memory resurfaces. 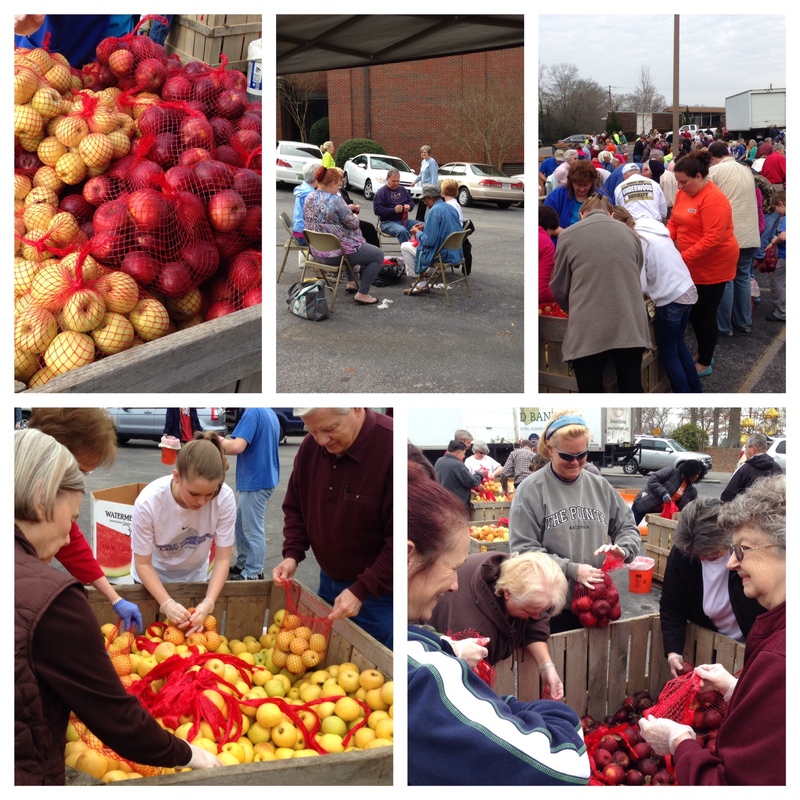 Over 200 folks showed up to bag 30,000 pounds of North Alabama apples. Those bags were distributed to Food Bank agencies, which means they’ve either already been distributed to families or will be distributed this week! It was so nice to see folks show up to make this happen and we were done bagging them in less than two hours. Stay tuned for another produce drop as we’d love to see you out there with us! 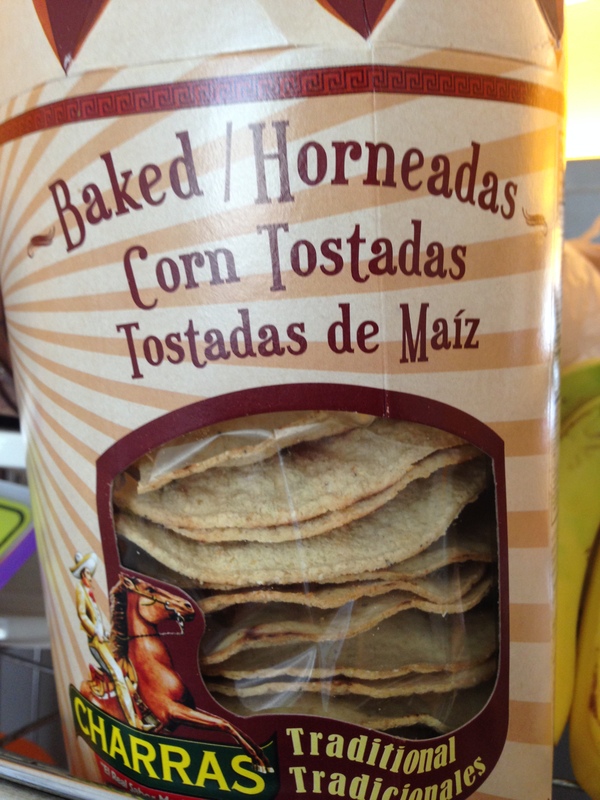 If you haven’t bought some Charras Baked Tostadas yet, well… I just don’t know what to do with you. I am using these for dinners, in place of chips, and for snacks. Spray non-stick pan (or use teeeeeeeeny tiny amount of oil). Sautee sliced red bell pepper. In a separate bowl, whisk egg and 2 egg whites together and add to pan. 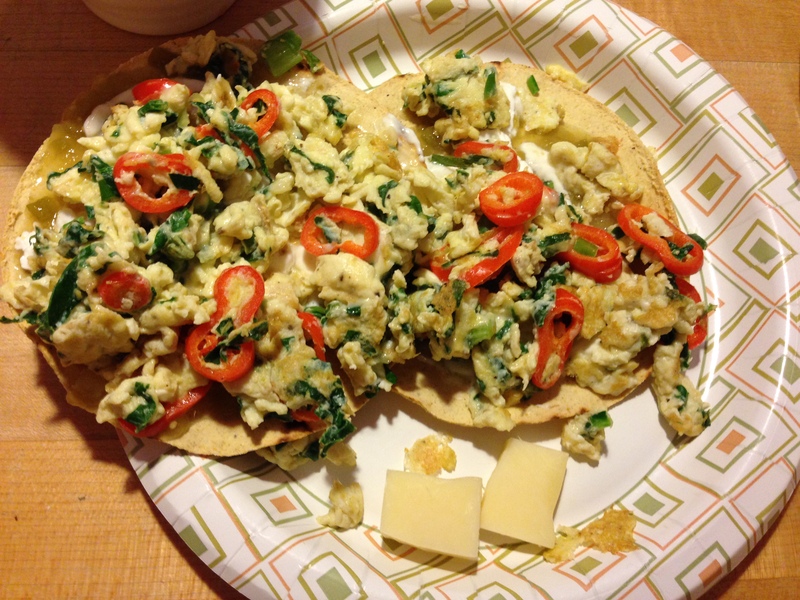 Add diced green onion, julienned spinach, and grated cheese and scramble together. I saved a little cheese to munch on, but you can add to the entire egg mixture if you want. Microwave tostadas for like 20 seconds to get them warm. Spread 1/2 tablespoon of greek yogurt on each tostada. Spread a tablespoon of salsa verde on top of that. Then add the egg mixture to both tostadas. EAT THEM! I’m looking forward to trying your WW friendly recipe! I just started a few days ago. Keep on posting!